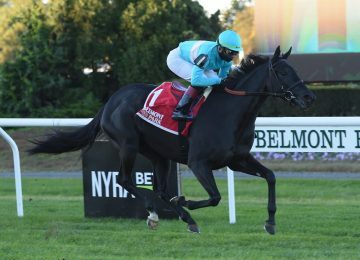 Liz Crow of BSW Bloodstock and two-year-old consignor Paul Sharp purchased nine horses at the Yearling Sales in 2016 to resell at the two-year-old in training sales in 2017. A group of eleven investors came together to raise $600,000. At the OBS March Sale both horses through the ring were sold for a profit. Hip #37 a colt by Calibrachoa out of Moon Larry was originally purchased by the group for $47,000 at OBS August and was sold to trainer Patrick Biancone for $145,000. 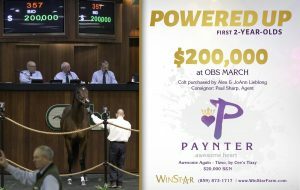 The following day Hip #357 a colt by Paynter out of Awesome Humor was sold to Alex and JoAnn Lieblong for $200,000, he was purchased by the Venture originally for $60,000. The big score came at OBS April when Hip #899 rolled down the lane in a beautiful :10.1 and galloped out in :21 flat. The son of Union Rags out of A.P. Indy mare Poco Mas was very popular on the sales grounds and got the attention of all major buyers. 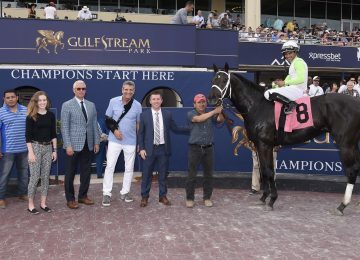 With WinStar Farm and Jeff Mullins carrying him to $1,000,000, Jeff Mullins came away with the colt for Red Baron’s Barn and Rancho Temescal, LLC. 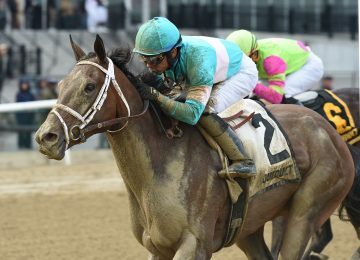 He was purchased by the Venture for $60,000 at the Keeneland September Yearling Sale. 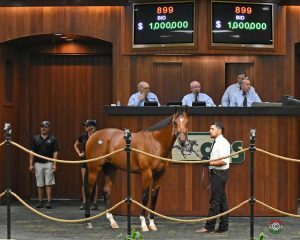 The Venture is now four for four selling Hip #1145 a colt by Dialed In out of Sweet Serendipity the following day for $85,000, he was a $30,000 yearling purchase. 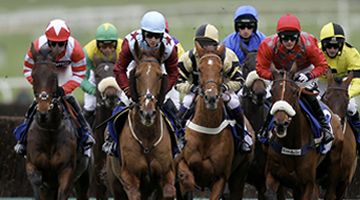 Five horses are left to sell with a nice profit growing for the investors in the Venture.